Drove it today. It takes a minute to warm up and get happy, but hey it's got character! So I drove around for a while and noticed it would smoke a little from under the car whenever I stopped. I figured it was from dust and bugs on the exhaust, no big deal. Well I stopped by my old work (Valvoline) to see my buds and we were joking it was on fire, so we pulled it in the bay. The bottomside guy jumped up and hit the header with a fire extinguisher. The header wrap was on fire. I thought it was quality DEI stuff, but it's junk. See I tuned the engine in the garage with one missing valve cover nut and that dripped a little oil on the header. I replaced all the nuts last week and fixed that. But my distributor leaks oil pretty good, and it needs to be rebuilt badly. Tomorrow i'll drive it to work and cut off that crappy header wrap and order a KBox kit to rebuild the distributor. It's still for sale (only after I fix the distributor and remove the wrap) but I was reminded how exciting it is to drive this little thing. It looks pretty good posted up in front of my house. Maybe i'll paint it right and keep it lol. Rebuilt the distributor with the kit from KBox. Easy peasy and no more leaks! Saw your car on ebay! wth man haha! Eric, wtf are you doing? why are you selling this? Yeah. I can't just throw my son Dude in it and go ride around. I am wanting to trade it for like a stock Miata or old WRX or something. But if somethin cool (or big dollars) never comes around, I'll keep on keeping on in the Corolla. It's depressing that I've done all this work to make a car for my own enjoyment, but now I want a car for me AND my son to enjoy. He yells "purple car!" whenever he sees it though lol. lol, you can throw him in the back and roll! 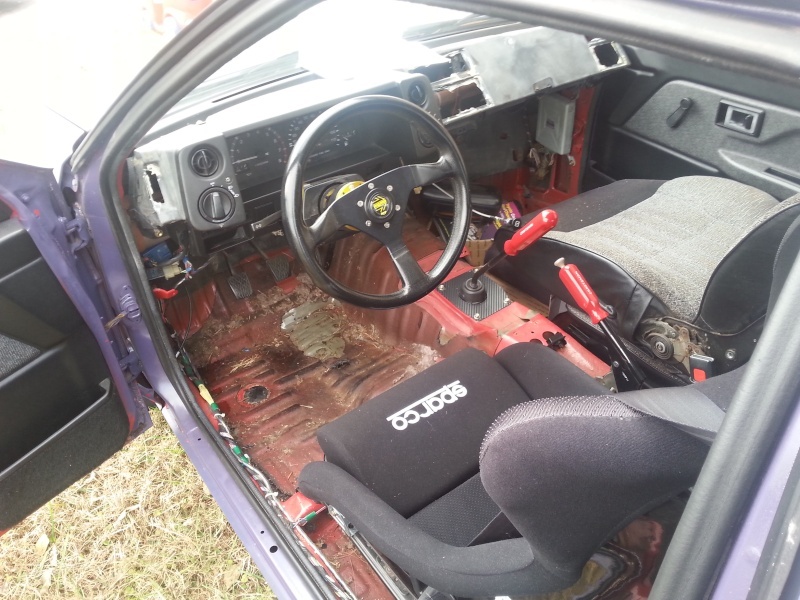 if you get a Miata he wont have back seats... I had an rx7 but i put my Daughter in the front (not the safest thing). The Rolla is cool because they actually have a little space in the back. I don't have back seats or any other interior but front seats, dash, and door cards. In 99+ Miatas you can turn off the passenger side air bag, so it's safer for kids in the front. I think they even have latch hooks for carseats lol. I didnt know that. its pretty cool seeing your kid look out the window going don the highway, they love it! He loves riding in cars. He loves my dad's Cherokee cuz the back dear sits so high and he can see everything around him. You know some kids get soothed and fall asleep in cars; newborns long sleepless nights lol. He just gets cranked up lol. lol. ive got a four runner as well and i fold down a seat quarter to put her and the dog in the back. she reads him a book and they both fall asleep. Hey man im a local tn guy. 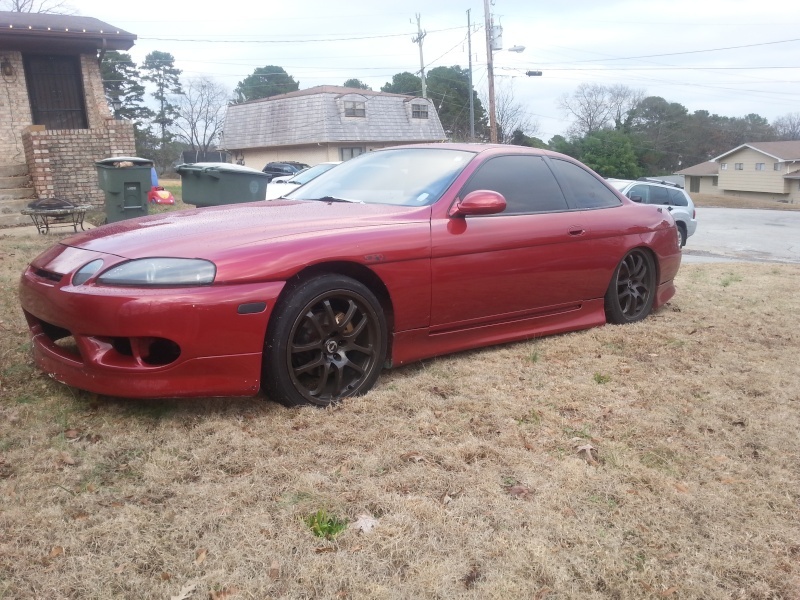 Great looking car, wish you were closer... could use your help on the body work on my coupe car. Saw yours on craigslist, you should really keep it. Hey thanks man. As for body work, I could do most of it for you: I would pull the car to a body shop and tell them what to fix, you just pay for it lol. I learned pretty quick i'm not cut out for body work. I've been driving it the past couple days, no serious offers on it yet. I might wind up keeping it and just soften up the interior (cut off brackets that stick out here n there) and paint it inside and out. I'll do the inside, but a shop is gettin paid for the outside lol. Working on the dash yesterday and today. Goal for today is have all the cut-outs smoothed over and ready to wrap whenever I find a material I like lol. I need to find a new picture uploading site, I don't think I've even shown a picture with the SSR's on? I did a lot with and to this thing, hopefully the new owner appreciates all the work. Some of it sure looks sketchy but damg if it don't run like a champ and drive great! So long, car. I traded it to a kid in Atlanta; who ran up more miles in 24 hours than I have in 3 years. Anyway, now I have a 93 SC400 with an issue or two, but nothing I can't sort out. Sorry to see the car go! It was a great build. You did a really nice job on that engine for sure. Hopefully the future will bring good things for ya! And im not too worried because I know you'll end up buying another AE86 lol. They're like crack. carbd7age wrote: Going to Nashville Sunday to a new home. The kid is crazy excited about the trade, and I know I could use a change.. I did a lot with and to this thing, hopefully the new owner appreciates all the work. Some of it sure looks sketchy but damg if it don't run like a champ and drive great! Jeonsah wrote: Sorry to see the car go! It was a great build. You did a really nice job on that engine for sure. Hopefully the future will bring good things for ya! And im not too worried because I know you'll end up buying another AE86 lol. They're like crack. 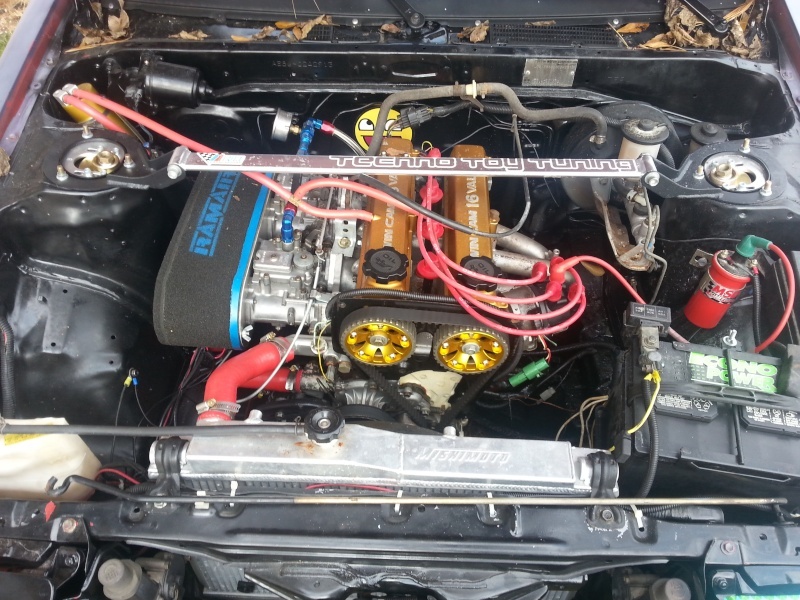 AE86 are like potato chips. You just can't have one. Your skill in reading has increased by one point. @chocobot: LMAO that's fantastic! Kid text me not two days later he already busted a tire. I didn't offer any help because he neglected to tell me the brakes don't work, there are no springs installed on the rear shocks, thw battery is too small and weak to run the Corolla, there is a rust hole in the trunk behind the driver rear wheel, the gauge needles are burnt out, and it was smoked in constantly after I specifically asked if it had been smoked in and he said "the PO smoked in it a little I think". SMH I have work to do. 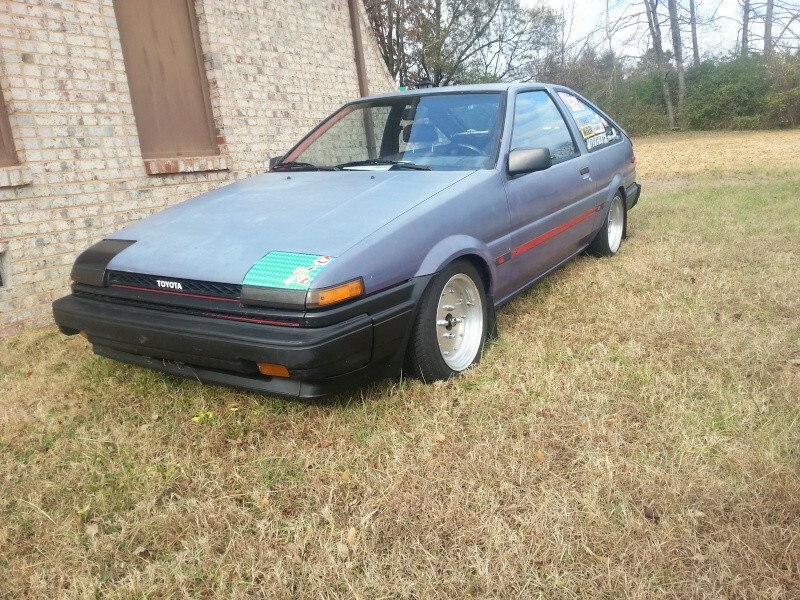 Oh and my old Corolla is on Atlanta Craigslist for 4100 OBO and says it's a built AE86 lol. Haha it's a REbuilt engine lolzzz. Also the kid painted it black. And he's parting it out I think. He sold the carb setup on Club4ag Facebook page to a friend of mine on 4AC Powered. Whatever.